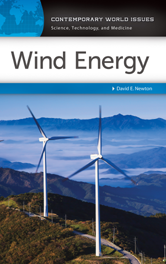 This handbook will both educate students about current issues related to wind energy and introduce the ways in which mankind has harnessed the wind through the ages. The book covers topics as diverse as early windmills in Europe, the United States, China, and the Middle East; the development of wind farms for electricity generation; and political factors involved in the development of wind energy today. Conventional wind turbine mechanics are explained, as are the technical improvements that drive modern wind turbines and other wind systems. Wind Energy: How We Got Here, John Droz Jr.